There are some tasks that, if deferred, can lead to a home system that’s inefficient and overworked, which can result in problems and expenses. One such task is changing the filter of the home’s HVAC system. It’s simple and inexpensive and can mean the difference between optimum comfort and avoidable repairs. 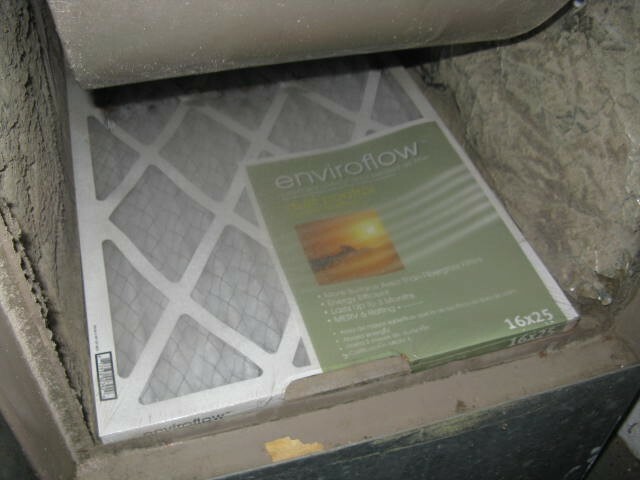 Most HVAC and furnace filters are disposable, made of biodegradable paper or similar media, and shaped in cells, screens or fins designed to trap as much airborne debris as possible. Filters can typically be purchased in economical multi-packs, and there are many types that will fit different models of furnace/HVAC units. It’s important to use the appropriate filter for your unit; using the wrong filter that doesn’t fit the unit properly can create the same types of problems as having a dirty filter. If you don’t know how to change out the filter, you can google for helpful video instructions. The filter of the unit, especially if it’s an HVAC unit that will tend to get nearly year-round use, should be changed by least every three months, but possibly more often. There is evidence of microbial growth or mold on the filter. Mold spores already infiltrating the home via the HVAC system are not only bad for the unit itself, but they can pose a health hazard for the family, ranging from an irritated respiratory system to a serious allergic reaction. The musty smell produced by a moldy HVAC filter is also unpleasant and may take a while to completely eradicate from inside the home. If you discover that you have moldy air filter, it’s important to have the cause investigated further. Write the date of installation on the filter’s edge with a sharpie & set a reminder on your phone or calendar to replace in 30 days. A filter that becomes dirty enough to change within a short period of time may indicate a problem with the unit or ventilation system, so monitoring how often the filter requires changing is important information for your technician to have. Tenants who take care of the easy task of changing their HVAC filter can help prevent system downtime and avoidable expenses, as well as keep their families living and breathing comfortably.